The town was established in 1954 as a private township, by the Glen Anil Development Corporation/Investments which was headed up by Dr Edward (Eddie) Rubenstein (1903–1972). The town's name was borrowed from a glossy advert for Ballito hosiery made by Ballito Hosiery Limited of St. Albans, England. The area was originally portion of a sugar cane farm at Compensation Beach owned by Basil Townsend. The Sunday Tribune printed in 1954 an advert for Ballito Bay inviting potential investors to the North Coast with prices of land from R790.00 (395 SA Pounds). By 1964 the zonings for Ballitoville's residential buildings, hotels and a caravan park had already been incorporated into the town plan known as Compensation Beach and this area stretched out from Willard Beach to Clark Bay, Salmon Bay and Port Zimbali. 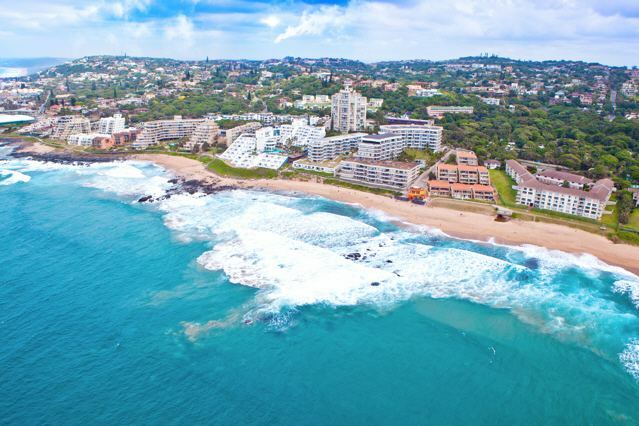 A brochure with the first marketing pictures of Ballito, was put out to attract the holiday makers to invest in the area with the slogan: "Buy, Build & Play at Ballito Bay, The Caribbean of the North Coast - Natal". Ballito, Salt Rock and Shaka's Rock are favourite holiday destinations for local South Africans and also foreign tourists on their way to Zululand and the historical battlefields. Jack Nash (1914-2016) gives a personal history from the early beginning of Ballito through to 1986 when he left the area and includes a history of some of the early pioneers and characters of the town. These include his father-in-law, Reg Fripp, who built many of the early houses. Jack Nash, who lived until shortly before his death in Amber Valley, Howick, own history includes being the Estate Agent for Glen Anil in Ballito through to him being the Chairman of the Ballito and the North Coast Publicity Associations. Jack's wife Gaye Nash née Fripp, the young ballet dancer holding the "little ball" or ballito above her head in the full page press release to publicise the then new township in the Sunday Tribune of 23 November 1954, still lives in Howick. Today Ballito is a thriving community of its own with ties to primary and high schools in and around Ballito, Umhlanga, Stanger and Tongaat. Ballito has grown exponentially in recent times and has three shopping malls, Lifestyle centre, The Junction and The Ballito Bay Mall. Fantastic family adventure attractions such as the crocodile farm and microlight flights and tours. It is a holiday destination with hotels and self-catering accommodation, swimming (Willard) and surfing beaches (Boulder). A promenade about 2.5 kilometers long along the beach front allows for walking and jogging. The Gunston 500 surfing contest, renamed to the ASP PRIME Mr Price Pro and more recently the Ballito Pro presented by Billabong, has been shifted from the Bay of Plenty in Durban's Golden Mile to Ballito where it is held annually in July. Ballito's business sector has also grown significantly with a large commercial business park bordering the N2 freeway. With a full service industry within the commercial business park, Ballito now caters to a growing business community on the North Coast. Enterprise iLembe, the region's investment arm, has been formed to develop Ballito and the iLembe area as an investment destination of choice. The development of the King Shaka International Airport and Dube City to the south have also contributed significantly to the growth of Ballito. In recent years, there has been a population boom in Ballito. 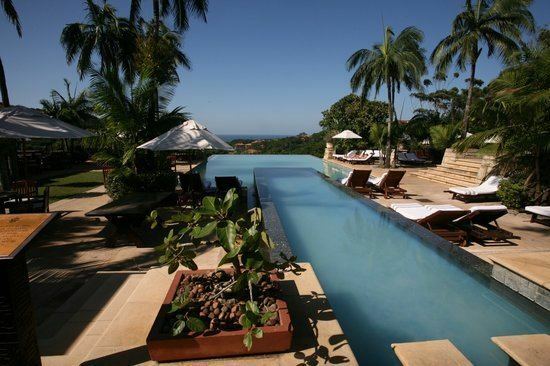 Various secure or gated estates, the largest being Zimbali followed by Simbithi, have been built in and around the town on land that was previously used as sugar cane farms. Many new hotels and resorts have opened, drawing even more tourists into this picturesque part of the KwaZulu-Natal coast. Plans are currently on the table for new schools to be constructed, a new town centre, a taxi rank, and a larger clinic. The main entrance to Ballito from the N2 highway has been upgraded, with the construction of an multi level interchange to ease traffic, the widening of the road to four lanes in Ballito Drive, and proper pedestrian walkways.